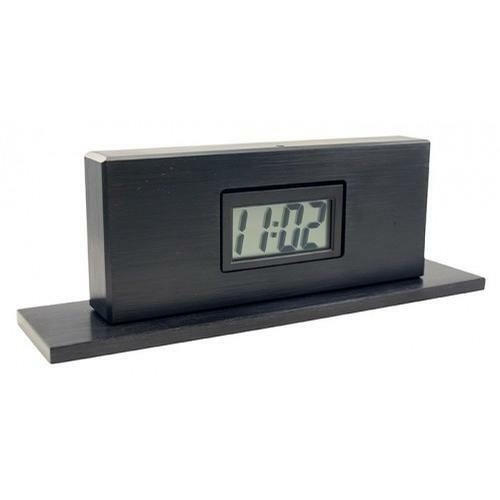 This attractive digital clock and calendar is available in singe-sided and double-sided models. The digital display alternates between a date and time display. Finish choices are satin black, satin clear and satin brass. Each unit comes with double stick industrial tape for mounting, an instruction sheet to set time and date, or replace when needed, and an Allen wrench to do so. Base dimensions: 2" x 8". One year warranty against manufacturer's defects. These calendar / clocks are made to order. This item is made to order and production can take 15 to 20 business days. This attractive digital clock and calendar is available in singe-sided and double-sided models. Finish choices are satin black, satin clear and satin brass.